Abu Kassim Mohamed, the Chief Commissioner of the Malaysian Anti-Corruption Commission (MACC), has been named one of the 100 influential people in business ethics for 2010 by the New York-based Ethisphere Institute. Ranked fourth in the eminent list, he was adjudged for his role in the government and regulatory practices category. The other eight categories are thought leadership; business leadership; corporate culture; investment and research; design and sustainability; media and whistle blowers; NGOs; and philanthropy. 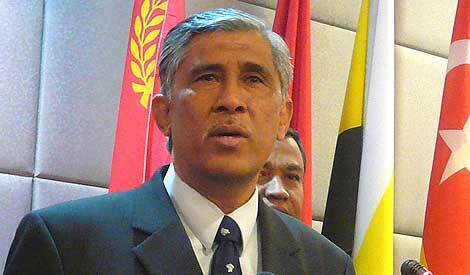 Ethisphere said Abu Kassim, who joined the Anti-Corruption Agency in 1984, has been instrumental in spearheading the anti-corruption programme in Malaysia, which is leading the way in such efforts in South East Asia. The anti-corruption crusader, the only Malaysian in the list dominated by mostly Americans and Europeans, has been selected along with 99 others who are said to have made a significant impact in the realm of business ethics over the course of the year, said the research-based Ethisphere Institute. The institute is an international think-tank dedicated to the creation, advancement and sharing of best practices in business ethics, corporate social responsibility, anti-corruption and sustainability. It said, although many of those listed deserved a lifetime achievement award, the 2010 list recognised those who made a significant impact, specifically during the year. “Some are world famous and some are unknown, but from designing sustainable packaging to recovering billions of dollars from ponzi schemes, the following 100 individuals have impacted the world of business ethics in ways that will continue to resonate for many years,” added Ethisphere. Two United Kingdom (UK) parliamentarians, Lord Willy Bach of the UK House of Lords, and former Foreign Secretary Jack Straw, tied for first place for having introduced the UK Anti-Bribery Act. 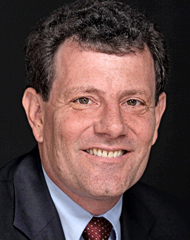 Third place went to Jon Leibowitz, chairman of the US Federal Trade Commission, also for government and regulatory practices. Others in the list include Indra Nooyi, CEO Pepsi; Paul Volcker, Chairman, US Economic Recovery Advisory Board; Bill Gates, Co-founder, The Living Pledge; Warren Buffet, Co-founder, The Living Pledge; Jeff Bezos, CEO Amazon.com; Robery Zoellick, Chairman, World Bank; Dominique Strauss-Kahn, Managing Director, International Monetary Fund; Mary Schapiro, Chairman, US Securities & Exchange Commission; and Peter Loscher, CEO Siemens. Prince Charles, who recently released a documentary, ‘Harmony: A New Way of Looking at our World’, made it into 92nd place for environmental stewardship. Ethisphere, which was founded by Alex Brigham, a well-respected voice in the ethics and compliance field, also publishes Ethisphere Magazine, which issues the globally-recognised World’s Most Ethical Companies Ranking. Posted in Corruption, Governance, Law and Order. Former transport minister Chan Kong Choy was slapped with three charges of cheating in a sessions court in Putrajaya today, in relation to the Port Klang Free Zone scandal. 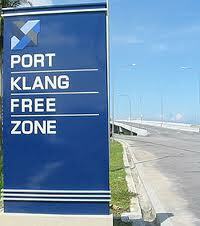 The charges were brought under Section 417 of the Penal Code. 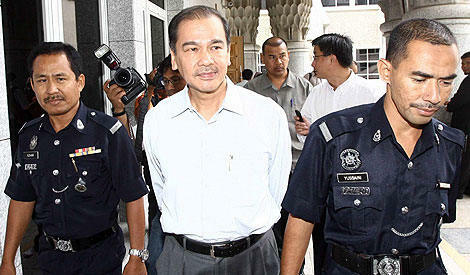 He has been released on bail of RM1 million with one surety. The case is set for mention on March 31. Chan faces a maximum five-year jail term, a fine or both, if found guilty. The first charge is that he deceived then premier Abdullah Ahmad Badawi into approving Kuala Dimensi Sdn Bhd (KDSB) as the turnkey developer for a trans-shipment hub project at the Pulau Indah Free Zone (as it was then called). According to the charge sheet, Chan is accused of concealing the fact that the development cost would be borne by KDCB, which was to issue bonds through Transshipment Megahub Bhd with the support of the government and the Transport Ministry. He is alleged to have induced Abdullah into giving approval because the latter would not have agreed if the facts had been disclosed to him. This offence was allegedly committed between Feb 24 and 25, 2004, at the fourth floor of the Prime Minister’s Office. The second charge is that Chan deceived Abdullah into approving KDSB as the turnkey developer to carry out three pieces of additional development work amounting to RM518.38 million. This offence was allegedly committed between Oct 11 and Oct 28, 2005, at the same place. The third charge is that Chan deceived Abdullah into approving KDSB as the turnkey developer to carry out five pieces of additional development work amounting to RM335.8 million.This offence was allegedly committed between March 28 and 29, 2006, in the same location. On the second and third charges, Chan is accused of concealing the fact that the development cost would be borne by KDSB through two special purpose vehicles supported by the government and the Transport Ministry, on the basis that Abdullah would have not granted approval had he been aware of this. Chan was taken into the courthouse by police at 2pm. He was accompanied by his wife and daughter.Dressed in grey pants and a white shirt, he appeared calm and jovial. A police personnel stationed in the court room made a slight issue over the attire of Chan’s daughter. “This is my daughter,” Chan told the police personnel, who relented and allowed his daughter to enter the courtroom on condition that she sat in the back row. Attorney-General (A-G) Abdul Gani Patail arrived 10 minutes before Chan and is expected to lead the prosecution team. Chan was represented by three lawyers, led by Azad Bashir. Speaking to reporters later, Chan refused to speculate his chance of mounting successful defence. “The charges came as a surprise to me but I am confident of the judicial system. I hope I can clear my name,” said Chan. After the charge was read, the A-G said both parties had agreed that the bail be set at RM1 million. Gani asked for a later trial date to enable the prosecution to prepare its case. 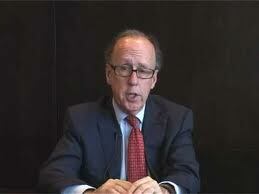 He also proposed a pre-trial conference between the prosecution and defence. Judge Azhaniz Ateh Azman agreed to the bail amount and set March 31 for mention. Chan is the second VVIP charged in connection with the PKFZ scandal, which has been plagued by massive cost overruns and which, according to an audit report, could potentially cost taxpayers a whopping RM12.5 billion. In July 29 last year, former transport minister Dr Ling Liong Sik was charged with misleading the cabinet into approving a land deal at an inflated price. Four others, including former PKFZ general-manager OC Phang, have been charged with various offences for their alleged involvement in the project. FOLLOWING up on the celebrated Malaysia-Turkey hook-up this week, enter this intriguing correlation 28 years in the making and whose maturation may have a marked influence on how Muslim countries, especially those in the Arab world, govern themselves in the wake of their blood-spattered but remarkable revolution to fundamentally seize back their pride and dignity. The correlation is this: Malaysia is determined to deploy its Islamic authority to counteract the rise of religious extremism and violence on a global scale while Turkey emerges from decades of relentless secularism to craft a benign Islamic character that excludes horrific stereotypes associated with the Arab world. It was as if Malaysia and Turkey’s forward march is steadily aligned by a natural sociopolitical gravitational pull, a unique union forged with an eye on an international peace initiatives that will trigger tantalising consequences, one of them being the compassionate middle path that embraces spiritualism and modernisation in equal gusto without tripping over ill-conceived edicts prescribed by religious hardliners not too fond with what Datuk Seri Dr Najib Abdul Razak and Turkish Prime Minister Recep Tayyip Erdogan are trying to accomplish. 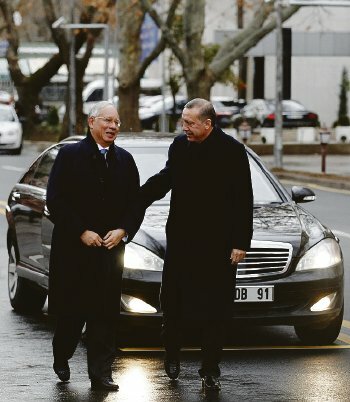 The two “brothers”, which Najib and Erdogan affectionately referred to each other in official public outings during the Malaysian Prime Minister’s three-day official visit to Turkey this week, have signed and sealed a slew of business, tourism, defence, transportation and construction deals designed to boost Malaysia-Turkey bilateral ties and trade. However, the most fruitful deal is perhaps one that is officially undocumented and unsigned but fully understood and reported — the mutual enterprise to at least dampen, if not neutralise, violent religious extremism, the scourge of the world. Now, imagine Malaysia and Turkey as an intriguing wrestling tag team combination, one small but strong, ambitious and determined, the other big but nimble, embracing and worldly.In a contest against other tag teams, this practical hybrid has unique advantages, especially in dissenting against super powers bent on imposing their military might and economic leverage against weak nations. Years before last week’s historic diplomatic rendezvous, a Malaysia-Turkey amalgamation had been unwittingly at work, notably in spotlighting the ill-conceived 2003 American invasion of Iraq as an aberration in good governance and human dignity. On the Asian side of the world, Malaysia capitalised on its inherent influence on the world stage to persuade other countries to abhor the invasion while on the European stage, Turkey stoutly denied American pressure on wanting to traverse Turkish air space and borders deploy strategic military sorties into Iraq. Last year, the Malaysian-Turkish consolidation throttled again, this time in unison to deploy the humanitarian Mavi Marmara flotilla in international waters to supply aid to Palestinians in Gaza, in which the initiative by Malaysian and Turkish activists was repelled brutally by Israeli soldiers, resulting in the killing of several Turks. Government and opposition members of parliament in Malaysia, in a rare united voice, roundly supported Najib’s resolution to condemn Israel’s bald facedness, a gesture appreciated by the Turkish government. And this was all done unwittingly before the prime ministers’ historic get-together. Now stop imagining and regard the Malaysia-Turkey tag team as a realistic and potent combination, a duo whose combined resources can be harnessed to promote international armistice and friendship while dissuading Western Islamophobia that engaged in wholesale demonisation of Muslims. As Najib pointed out in a speech last year at the United Nations General Assembly, the seeming clash of civilisations between the Muslim world and the West is not between Muslims and non-Muslims but between moderates and extremists of all religions — Islam, Christianity and Judaism included. It’s uncanny that his call for a global movement of moderates from all faiths was presciently cemented in Istanbul, where he repeated his stance that all future governments, even those about to be formed in the tumult of the Arab revolutions, shun violence and opt for negotiations and good governance although they might lean towards electing shady groups whose background are riddled by repression and denunciation of enlightenment and advanced knowledge. But in Turkey’s case, their decades of secularism fathered by Mustafa Kemal Ataturk did not exterminate their Islamic faith. On the contrary, Islamic practices now are rising, the example being the call to prayers soaring contrapuntally when once it was silent. Mosques are being filled as Muslim Turks demonstrate their Islamic rebirth in many forms of Islamisation taken for granted in Malaysia. But that’s as far as the Turks are willing to concede. What they won’t concede to doggedly are permitting “extremists with long beards” managing their country and running down their modern progressive European lifestyle to suit some fanatic’s vision of the Dark Ages. Just ask any Muslim Turk in Istanbul. Just visit the Blue Mosque. This bodes well for Najib’s middle path movement and Erdogan’s push for benign Islamisation as twin forces to superior democracy, geared to showcase how one should govern one’s country in embracing technology, innovation and development while holding steadfast to an unfaltering Islamic faith. To the nascent democracies in the bloody aftermath of getting rid of tin-pot Arab despots, there can’t be many Muslim nations the eager new democrats can emulate other than the prime examples offered by Malaysia and Turkey. In the months or years to come, the new Arab century will look back and conclude that getting rid of the geriatric dictatorship was the easy part, the tough part is to squelch the hard and soft terrorism embedded in their psychological make-up and opt for social, economic and political reforms fully embraced by Malaysia and Turkey. Conclusively, to NOT be converted to the Malaysia-Turkey tag team force of nature and way of life — if any newly emerged Arab leaders are unable to grasp the benefits — is to deny opportunities in long-term social cohesion, economic prosperity and political stability. In this regard, Malaysia and Turkey might want to trademark their brand of compassionate Islamic evolution towards greater nationhood and internationalist pride. Posted in business, civil society issues, Foreign Policy, International Affairs, Najib. Is the Arab world unready for freedom? A crude stereotype lingers that some people — Arabs, Chinese and Africans — are incompatible with democracy. Many around the world fret that “people power” will likely result in Somalia-style chaos, Iraq-style civil war or Iran-style oppression. That narrative has been nourished by Westerners and, more sadly, by some Arab, Chinese and African leaders. So with much of the Middle East in an uproar today, let’s tackle a politically incorrect question head-on: Are Arabs too politically immature to handle democracy? This concern is the subtext for much anxiety today, from Washington to Riyadh. And there’s no question that there are perils: the overthrow of the shah in Iran, of Saddam Hussein in Iraq, of Tito in Yugoslavia, all led to new oppression and bloodshed. Congolese celebrated the eviction of their longtime dictator in 1997, but the civil war since has been the most lethal conflict since World War II. If Libya becomes another Congo, if Bahrain becomes an Iranian satellite, if Egypt becomes controlled by the Muslim Brotherhood — well, in those circumstances ordinary citizens might end up pining for former oppressors. “Before the revolution, we were slaves, and now we are the slaves of former slaves,” Lu Xun, the great Chinese writer, declared after the toppling of the Qing dynasty. Is that the future of the Middle East? I don’t think so. Moreover, this line of thinking seems to me insulting to the unfree world. In Egypt and Bahrain in recent weeks, I’ve been humbled by the lionhearted men and women I’ve seen defying tear gas or bullets for freedom that we take for granted. How can we say that these people are unready for a democracy that they are prepared to die for? We Americans spout bromides about freedom. Democracy campaigners in the Middle East have been enduring unimaginable tortures as the price of their struggle — at the hands of dictators who are our allies — yet they persist. In Bahrain, former political prisoners have said that their wives were taken into the jail in front of them. And then the men were told that unless they confessed, their wives would promptly be raped. That, or more conventional tortures, usually elicited temporary confessions, yet for years or decades those activists persisted in struggling for democracy. And we ask if they’re mature enough to handle it? The common thread of this year’s democracy movement from Tunisia to Iran, from Yemen to Libya, has been undaunted courage. I’ll never forget a double-amputee I met in Tahrir Square in Cairo when Hosni Mubarak’s thugs were attacking with rocks, clubs and Molotov cocktails. This young man rolled his wheelchair to the front lines. And we doubt his understanding of what democracy means? In Bahrain, I watched a column of men and women march unarmed toward security forces when, a day earlier, the troops had opened fire with live ammunition. Anyone dare say that such people are too immature to handle democracy? Look, there’ll be bumps ahead. It took Americans six years after the Revolutionary War to elect a president, and we almost came apart at the seams again in the 1860s. When Eastern Europe became democratic after the 1989 revolutions, Poland and the Czech Republic adjusted well, but Romania and Albania endured chaos for years. After the 1998 people power revolution in Indonesia, I came across mobs in eastern Java who were beheading people and carrying their heads on pikes. It’s still a view peddled by Arab dictatorships, particularly Saudi Arabia — and, of course, by China’s leaders and just about any African despot. It’s unfortunate when Westerners are bigoted in this way, but it’s even sadder when leaders in the developing world voice such prejudices about their own people. That should be our new starting point. I’m awed by the courage I see, and it’s condescending and foolish to suggest that people dying for democracy aren’t ready for it. A version of this op-ed appeared in print on February 27, 2011, on page WK8 of the New York edition. Posted in civil society issues, Democracy, International Affairs, Politics. New Haven–In early March, China’s National People’s Congress will approve its 12th Five-Year Plan. This Plan is likely to go down in history as one of China’s boldest strategic initiatives. The 12th Five-Year Plan will do precisely that, focusing on three major pro-consumption initiatives. First, China will begin to wean itself from the manufacturing model that has underpinned export- and investment-led growth. While the manufacturing approach served China well for 30 years, its dependence on capital-intensive, labor-saving productivity enhancement makes it incapable of absorbing the country’s massive labor surplus. Such a transition would provide China with much greater job-creating potential. With the employment content of a unit of Chinese output more than 35% higher in services than in manufacturing and construction, China could actually hit its employment target with slower GDP growth. Moreover, services are far less resource-intensive than manufacturing – offering China the added benefits of a lighter, cleaner, and greener growth model. The new Plan’s second pro-consumption initiative will seek to boost wages. The main focus will be the lagging wages of rural workers, whose per capita incomes are currently only 30% of those in urban areas – precisely the opposite of China’s aspirations for a more “harmonious society.” Among the reforms will be tax policies aimed at boosting rural purchasing power, measures to broaden rural land ownership, and technology-led programs to raise agricultural productivity. But the greatest leverage will undoubtedly come from policies that foster ongoing and rapid migration from the countryside to the cities. Since 2000, annual rural-to-urban migration has been running consistently at 15-20 million people. For migration to continue at this pace, China will have to relax the long-entrenched strictures of its hukou, or household registration system, which limits labor-market flexibility by tethering workers and their benefits to their birthplace. Boosting employment via services, and lifting wages through enhanced support for rural workers, will go a long way toward raising Chinese personal income, now running at just 42% of GDP – half that of the United States. But more than higher growth in income from labor will be needed to boost Chinese private consumption. Major efforts to shift from saving toward spending are also required. For example, in 2009, China’s retirement-system assets – national social security, local government retirement benefit plans, and private sector pensions – totaled just RMB2.4 trillion ($364 billion). That boils down to only about $470 of lifetime retirement benefits for the average Chinese worker. Little wonder that families save out of fear of the future. China’s new Plan must rectify this shortfall immediately. But the emphasis on the Chinese consumer is likely to be the new Plan’s defining feature – sufficient, in my opinion, to boost private consumption as a share of Chinese GDP from its current rock-bottom reading of around 36% to somewhere in the 42-45% range by 2015. While still low by international standards, such an increase would nonetheless represent a critical step for China on the road to rebalancing. Posted in business, Economics, Economy, Finance, Holistic and Balanced Development. ANALYSIS Despite the BN’s victories in recent by-elections, neither side is coming out to be the clear winner. The upcoming contests of Merlimau and Kerdau are like a drawn-out boxing match where both opponents are bruised and tired. The next two rounds heavily sway in favour of the BN, as both constituencies are in traditional UMNO territory. In the upcoming two matches, the BN has a comfortable weight advantage. What matters in these by-elections is not the final result – almost a foregone conclusion in states where the result will not affect the balance of power – or arguably even the majority, but the honing of tactical skills in the campaigns and the condition of the opponents after the by-election battle is over. 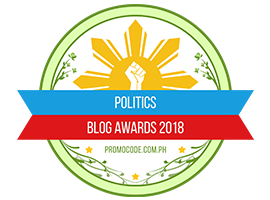 These contests foreshadow the real prize fight – the next general elections. As these rounds begin, allow me to reflect on the tactics and lessons to date, and suggest that despite the BN’s victories in recent rounds that neither side is coming out to be the clear winner. BN under Najib Razak has adopted a take-no-prisoner strategy, aiming to secure every victory in its column. It has moved from a defensive strategy after the March 2008 polls to the offensive. The BN has begun campaigning the day after its representatives passed away and brought in a well-funded nationally driven effort to win each and every contest, backed by favourable timing of the election date, strategic decisions to place contests simultaneously to put themselves at an organisational advantage and a willingness to do almost anything to win, from buying votes to the use of government vehicles to ferry party supporters. What has emerged from UMNO is a pummeling of blows on the opposition – as they have tried to recapture the multi-ethnic label through 1Malaysia, aimed to shatter the confidence of PAS by challenging their representativeness of the Malay community, used race-based campaigning to put strain on opposition cooperation across parties and distracted the leader of the opposition in a legal trial. This combination of shots at the head and gut of the opposition point to the intensity of the BN effort to win each round, and in the process hold onto the big prize of national power. The victories have instilled greater confidence in UMNO, but arguably at the expense of their component parties. The MCA in particular has been showed to have consistently lost the majority of support among its Chinese base, even with some small movements here and there, and its own role within the BN coalition has been undermined. In the blind battle to win every round, the BN has engaged in a high-risk strategy of feeding racial tensions and increasingly relying on money for its campaigning. While in some places such as Galas and Tenang, the BN has strengthened its organisation on the ground, the party has not yet substantively addressed some of the core reasons it lost support in the 2008 polls – infighting, arrogance, perceived corruption and a distancing from its traditional base. Ironically, in choosing to adopt race-based and financial heavy strategies, they are reinforcing some of the very weaknesses they faced at the polls nationally in 2008, and it is a mistake to assume that these issues have gone away. The BN and UMNO have chosen not to adopt a more substantively positive message of delivery and results, to show that they are strong enough to sustain blows. 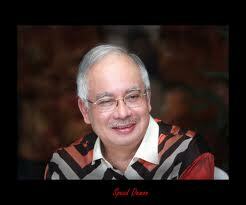 Little attention has centered on some of successes of Najib’s tenure – economic growth and crime reduction. It is difficult to do so, since some of the successes have not been concretely felt by voters and many policies of the last two years have been promises and have yet to reach their possible potential. Indeed, it is especially hard to instill long-term confidence when the dominant strategy has been one of sowing conditions of instability through feeding racial tensions with leaflets of hate. The BN faces the most difficult obstacle of all, to rebuild trust across the different communities. While its efforts at outreach in the Indian community have yielded some increased support, it can easily evaporate through continued insensitivity over Interlok and continued concerns voiced by Hindraf. Najib’s popularity shows that he has made some headway personally, but it is not clear if he can carry his party or his coalition, especially given that some in his party are not giving him their support and many in the BN coalition feel more bruised and beaten than the opponent in the ring. Arguably, the offensive BN strategies are not sustainable long-term or even in a general election. The BN may win rounds and make gains, as I expect they will do in both upcoming contests, but the questions emerge whether it is really winning and at what expense. 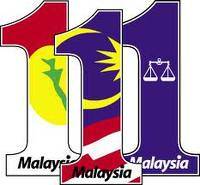 Pakatan has moved from a position of strength – winning Permatang Pauh and Bukit Gantang – to one of defensiveness. This decline began after the Manek Urai by-election of July 2009, when PAS scrapped through with a slim 65 majority in its heartland state of Kelantan. While the opposition won Sibu as the underdog contest in May 2010, its failure to win Hulu Selangor in April and make substantial headway in BN territory afterwards has fostered the impression that it has lost ground. While it shows up to contest each by-election, there is almost a defeatist approach starting from Bagan Pinang in October 2009 as it gets ready to be beaten up by an opponent in an uneven playing field. The bruises on the opposition are showing, and recent changes in tactics to focus on what they perceive to be their Malay deficit by PAS in particular show they are having an impact. Merlimau and Kerdau will show whether the opposition has the ability to adapt and maneuver effectively, or whether it has lost its footing. For the opposition, these contests will be largely local – local candidates with the immediate effect of building up local machinery in places where they have comparatively limited grassroots. The tactics and campaigning they adopt, however, will have national implications. First and foremost, will be how PAS adapts its campaign strategy, especially in Kerdau. Pahang is more of a PAS frontline state than Malacca, and the home of rising leaders in the party, vice-president Tuan Ibrahim Tuan Man and the party Youth chief Nasarudin Hassan. The double-contests of a multi-ethnic seat in Malacca and Malay-majority seat in Pahang will force PAS to come to terms with how it will formulate its national message. PAS’ campaign decisions will send a signal whether it will prioritise an exclusive intolerant “moral” supremacy strategy that led to their losses of 2004 – recently reemerging among some PAS leaders aka condemning the expression of love of Valentine’s Day – or is focused on common ground Pakatan strategy of justice and reform that is more nationally holistic. These contests will show whether it has learnt that PAS’ conservative narrow moral agenda does not go down with a large share of Muslims. It will also continue to test the ability of the party to reach out to Felda settlers, whether it can offer an alternative to rural voters that is not based on patronage. Finally, it will challenge PAS to address how it can improve the conditions for the Malays outside of the NEP framework. The tactics used by UMNO under Najib have apparently had their effect on PAS, as they have chosen more Malay- oriented positions and focused in engaging the UMNO attacks. So far, they have been on the back foot. Some have reverted to old comfortable positions. Others have embraced more forward-looking efforts, as the party is uncertain and divided on the strategy to pursue. PAS’ conference last weekend on Malay identity shows the recognition of a needed rethinking, but simultaneously highlights the challenges the party is facing. They have yet to clearly present an alternative for Malaysian empowerment that is outside of race and religion. Little is heard about what PAS has achieved individually or in Pakatan in terms of governance or the economy. Part of PAS’ challenge is that the opposition as a whole has not presented a clear vision of the future for Malaysians. What is Pakatan’s agenda for the future? What exactly have they accomplished after they won over a third of seats in Parliament? In defensive mode, the opposition remains unable to articulate coherently a clear set of priorities and initiatives for the future. There have been important statements such as the 100-day plan, but any real discussion of the policy issues have been buried in larger attention to personal attacks and engagement in defensive mode. Attention has largely focused on Penang and Selangor to the exclusion of discussion of PAS’ states – Kedah and Kelantan. The key will be how Pakatan moves towards presenting a genuine alternative based on their own performance nationally, rather than in response to their opponent’s agenda or the showcasing of specific individuals. Minimally, Pakatan’s footwork has not been consistently coordinated. While it is an accomplishment to stay in the ring, to take the punches, and worked together as a coalition that many believed would not last even a few rounds, standing in the ring is not enough to win national power, as the contests in Merlimau and Kerdau will show. With politicians across the spectrum centred on the fight in the ring – now going for 16 rounds – they have in many ways lost track of the audience. The fight has been dirty, full of illegal punches, and not necessarily even. It is not inspiring. Merlimau and Kerdau offer both sides the opportunity to come out with dignity, as the contest is as much about the results as the tactics. Who opts for the long-term strategy that showcases Malaysian positive successes ultimately will be at the advantage in winning the grand prize. *DR BRIDGET WELSH is associate professor of political science at Singapore Management University. She will be observing both by-elections. Welsh can be reached at bwelsh@smu.edu.sg.